Squirrels are so much fun, they are truly unique and special! They always go about their business, always searching for nuts, and just looking adorable! 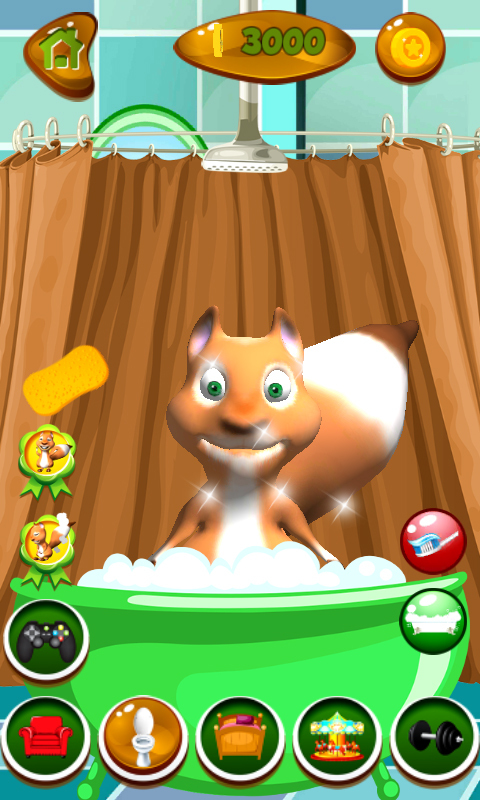 Now we have the perfect entertainment for you that will make you happy to have a new virtual hero in the forest. 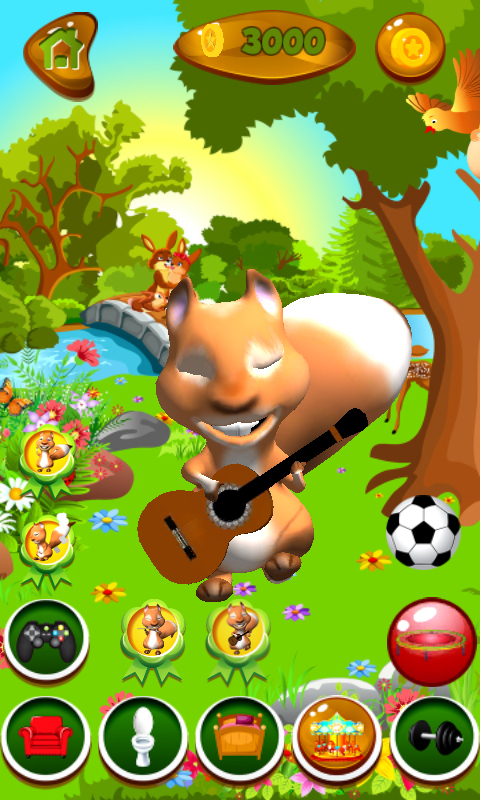 Download free Talking Squirrel game app on your smartphone, and you will get a pet that you will love immediately. This animal lives in a big house with many rooms. 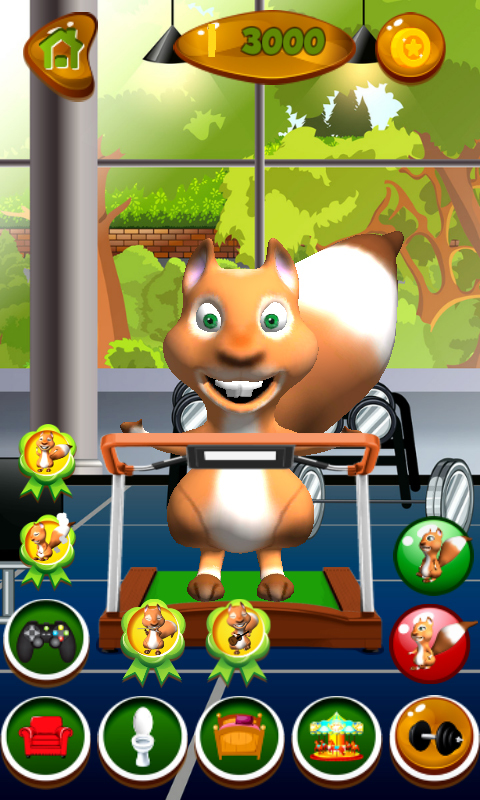 There are many interesting items there, so the squirrel has a trampoline where he can jump and have a lot of fun! Talk to your hero and he will repeat your exact same words. 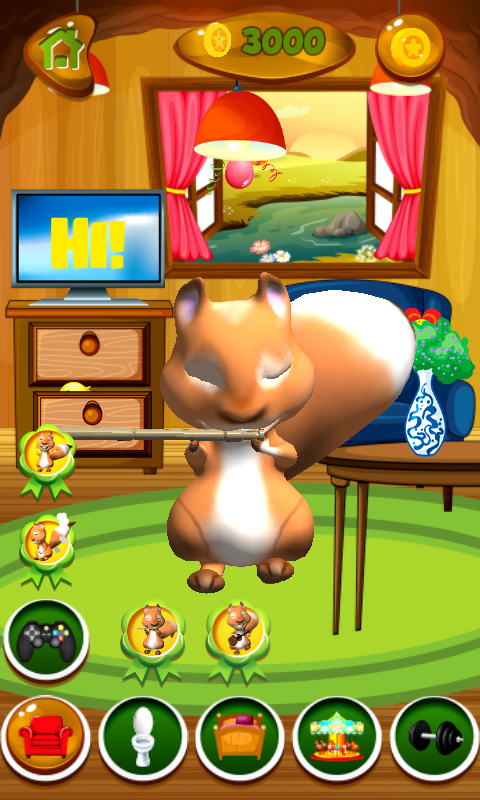 The squirrel will show you some of his fantastic dance moves, so get ready for a surprise! 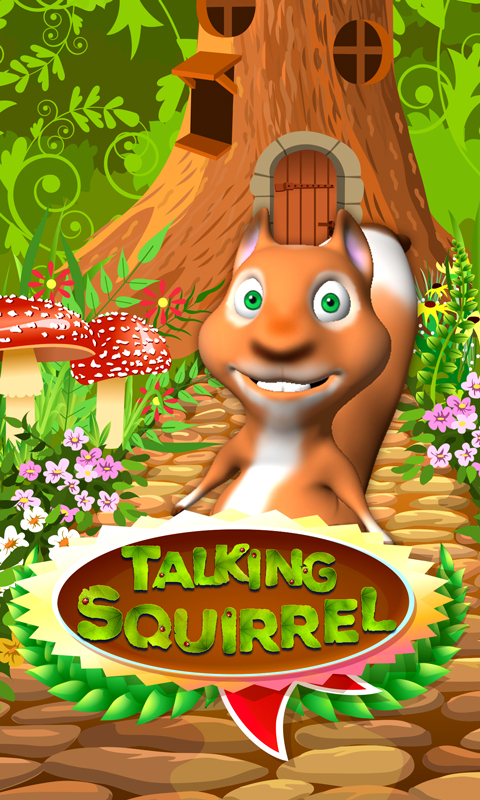 The latest talking game application is perfect for people of all ages, everyone will enjoy the company of the coolest squirrel ever. 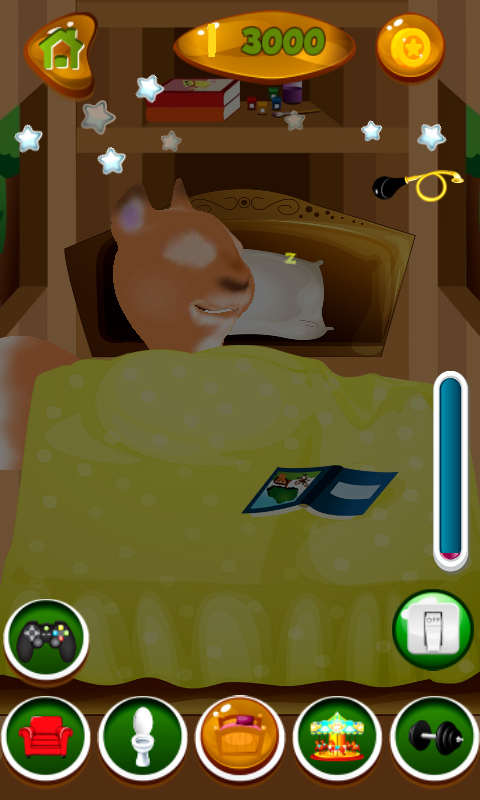 But first you and your pet have to collect coins together to unlock the other rooms, just try fantastic top mini games.